I was tempted to pass over this bit of news, but how often are we, as a gaming community, alerted to top of the line gadgets that get hit with a massive $100 off discount? Not very often. 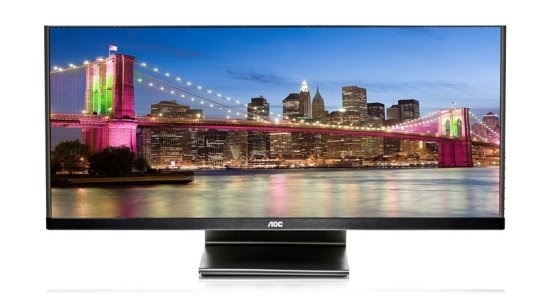 With that said, AOC’s 21:9 UltraWide screen HD monitor is currently only sale for only $399.99. AOC sent out the news alert earlier today, indicating that their prime-time playing HD monitor would be available at various online retailers, as well as brick and mortar retailers, for a limited time. How limited? Between June 24th (today) and June 30th limited. That's pretty darn limited. So with a $399.99 price tag one would have to assume that this is a beastly monitor, and we would have to assume that it's worth the price of admission that you could otherwise spend on a PlayStation 4 this fall. Well, the massive-sized monitor known as the Q2963PM offers up a black-bar-free panoramic display at a 21:9 aspect ratio. The monitor also sports 50,000,000:1 dynamic contrast for popping, crisp visuals, and 250 cd/m² with a 5 millisecond response time so there's no long wait on the refresh when going from bright high saturation to dark, low saturated images. 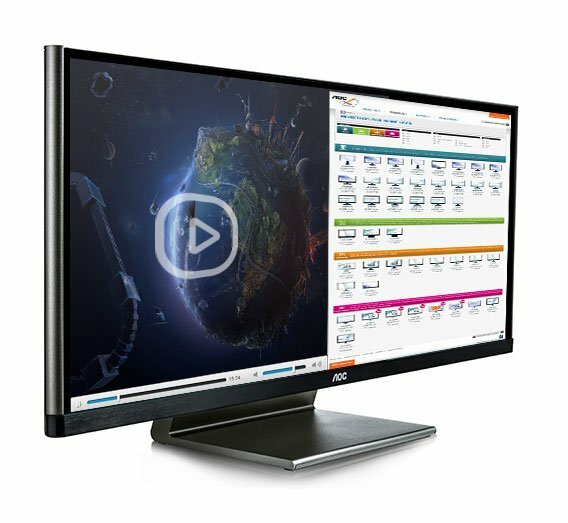 AOC also wanted the Q2963PM to work as more than just a cinematic tool to bring your entertainment needs to life, it could also double-down with split-screen capabilities for easy-to-use multitasking, as well as offering VESA compatibility for easy wall-mounting, in case you're the type of individual who requires a series of monitors spread across a specific space. Now for the good parts: The Q2963PM has a massive display resolution of 2560 x 1080 pixels, which means that you can rock the highest quality images on your Titan or Malta with the crystal clear clarity. How about GTA IV's iCEnhancer 2.5 in 1080p? No problem. There's even an integrated MHL port for Android devices, enabling you to use your phone or smart tablet as a remote control. 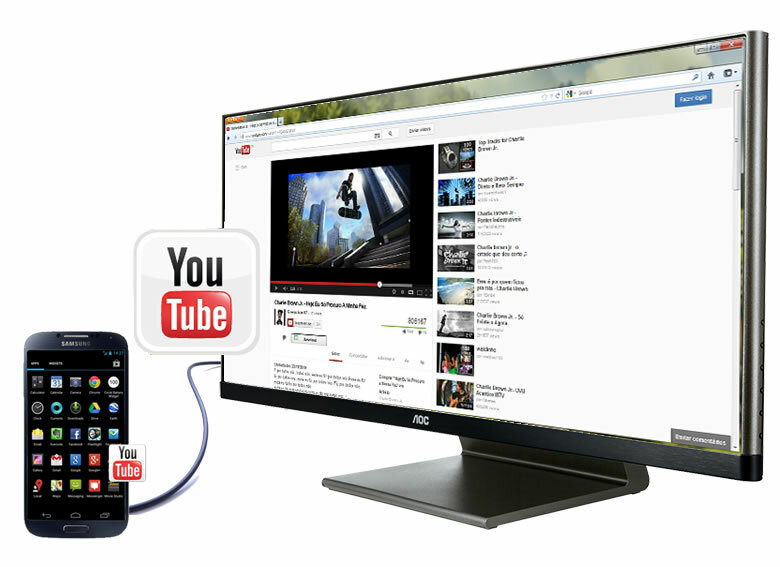 Even more than that, it can charge your mobile device so long as it's plugged into the monitor. The AOC monitor is available right now for $399.99, $100 off its original price. If you were considering upgrading to a high-end monitor, this doesn't seem like that bad of a way to go. However, paying out for a monitor what you would pay for a PlayStation 4 still seems kind of steep. Nevertheless, if you want to pick up one right now, check it out at Best Buy, Tiger Direct or Newegg. For more information on the 29-inch ultra-wide screen monitor, feel free to visit the official website.